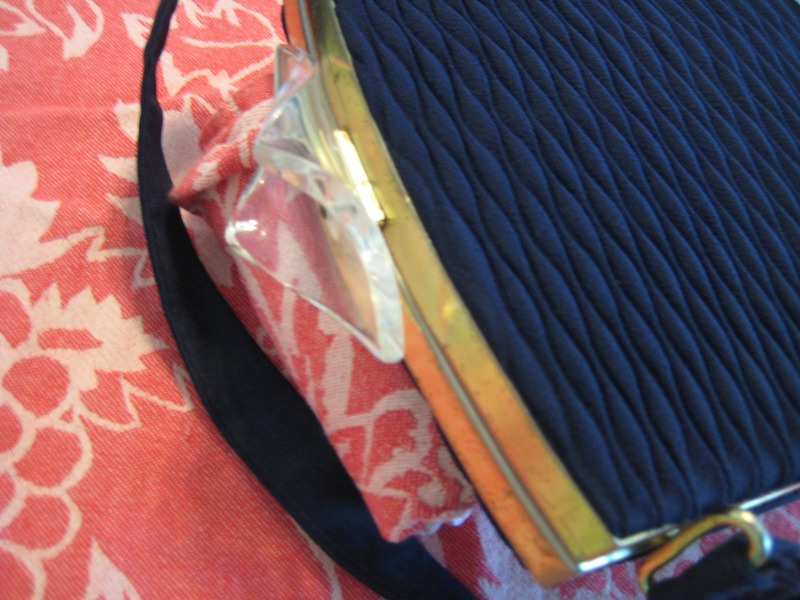 Sweet triangular fabric bag from the 60's. Gold tone frame with a funky clear Lucite spring latch closure. Frame shows some patina. Blue polyester body with a pleated look. Minor wearing on the bottom corners. Very pretty. 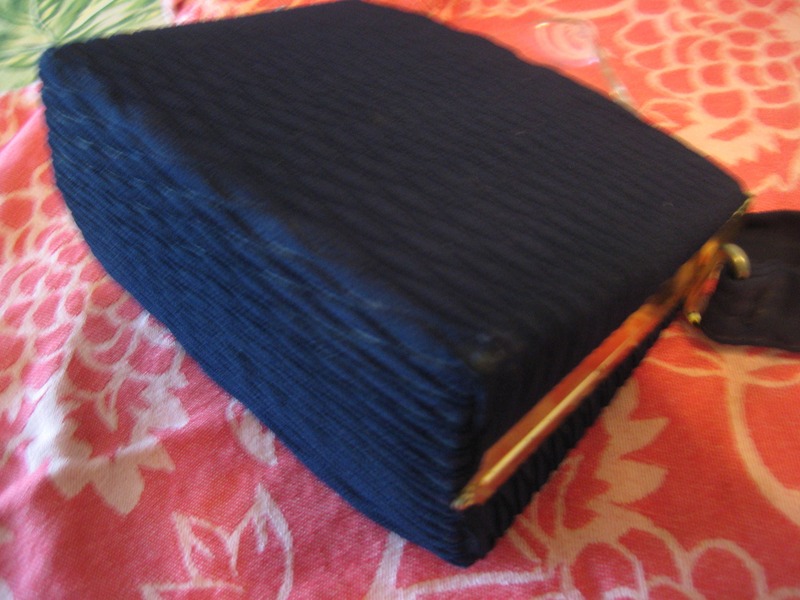 Matching blue fabric handle with a 4 inch drop. 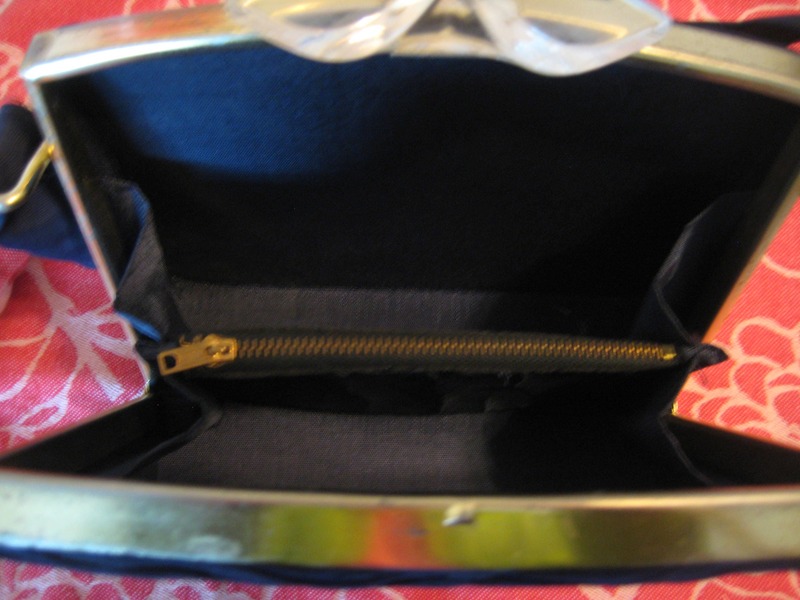 Blue polyester satin interior with a center zippered pocket as shown. Clean with no rips or tears. 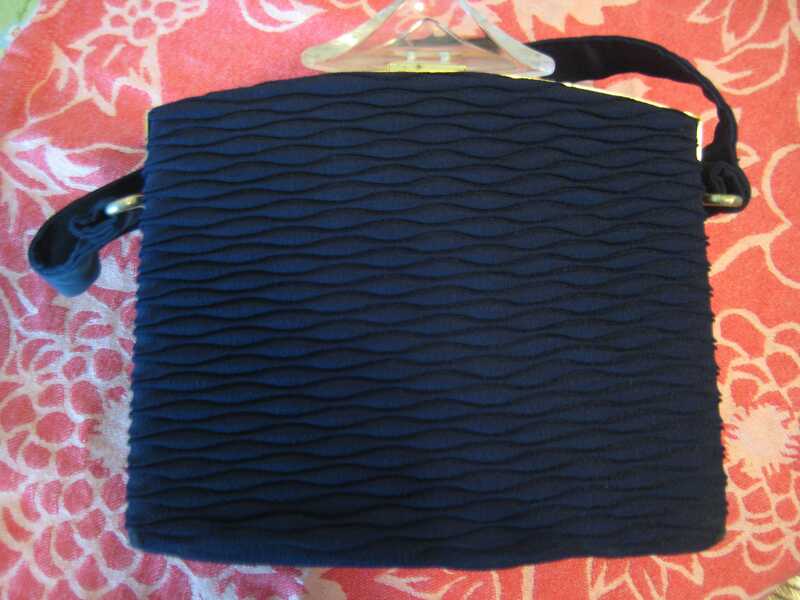 Day to evening bag, roomy enough to hold your essentials including a smart phone. No label. Dimensions: 6 inches long x 4.5 inches tall x 3.5 inches wide on the bottom - tapering to one inch on top.